Agency TMW Unlimited is launching a campaign for INFINITI, the luxury vehicle division of Japanese automaker Nissan, which will offer 5 lucky winners the opportunity to test drive a real Renault Sport Formula One ™ Team car this October. The work breaks on 6th July and runs across five key European markets – Italy, France, Germany, Switzerland and UK – throughout the summer, until September 26th. TMW Unlimited will be responsible for all CRM, web and social amplification of the promotion. INFINITI has serious credentials in the realm of automotive technology, performance and engineering. As Technical Partner of the Renault Sport Formula One™ Team, INFINITI has co-developed an integral piece of performance technology in their F1™ car – the hybrid ERS system. As part of this relationship, the brand is offering a series of exclusive F1™-related events to customers this year. This includes regional activity in the UK, with the chance to visit the Renault Sport Formula One™ Technical Centre on race days to watch the Grand Prix by video link-up, and visits to the factory in France where the Renault Sport Formula One™ Team engine is made. This will culminate into the Ultimate Test Drive competition – a unique opportunity to drive a real Renault Sport Formula One™ Team car on track. 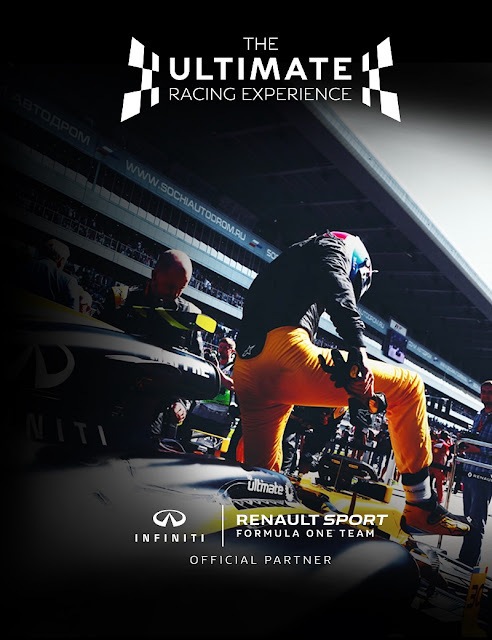 “In celebration of another year of INFINITI’s groundbreaking partnership with the Renault Sport Formula One ™ Team, INFINITI is offering a once-in-a-lifetime prize – the chance to experience the thrill of driving a real Renault Sport Formula One™ Car at the iconic Circuit Paul Ricard in France,” said Phil Rhodes, Creative Director at TMW Unlimited. The winner and a guest will receive flights to the South of France, local accommodation, exclusive F1™ driving sessions, and a passenger ride in an official Renault Sport Formula One™ Car, as well as a debrief and data analysis with the Renault Sport Formula One™ Team engineers. TMW Unlimited will use fresh F1™ content from the regional events to support the core promotion. A 50-second video showing cars racing at speed, using hybrid technology, highlights the superior performance of the vehicles as well as the human feat of engineering behind it. This will be shown on digital channels and is set to a fast-paced soundtrack.